Another shoe that has stood the test of time while facing all of the elements, the Speedcross 4 is a great shoe for any time of loose or muddy trail, including snow, that you may encounter in all seasons. A fairly traditional 11mm heel drop paired with highly durable and sticky 5mm chevron shaped lugs gives the Speedcross 4 great traction and good stability on both steep up and downhills. The fit of this shoe is very dialed in as well, and the combination of Salomon’s Sensifit overlays and Quicklace system make this a great shoe for any run in less than ideal conditions. Runners especially love the durability of this shoe and the fact that no matter how wet this shoe gets the upper feels very dialed in and secure. Runners with higher volume feet and wider forefeet may have difficulty finding a good fit in the Speedcross 4. Trail runners that want to be comfortable in any weather (and terrain) condition. 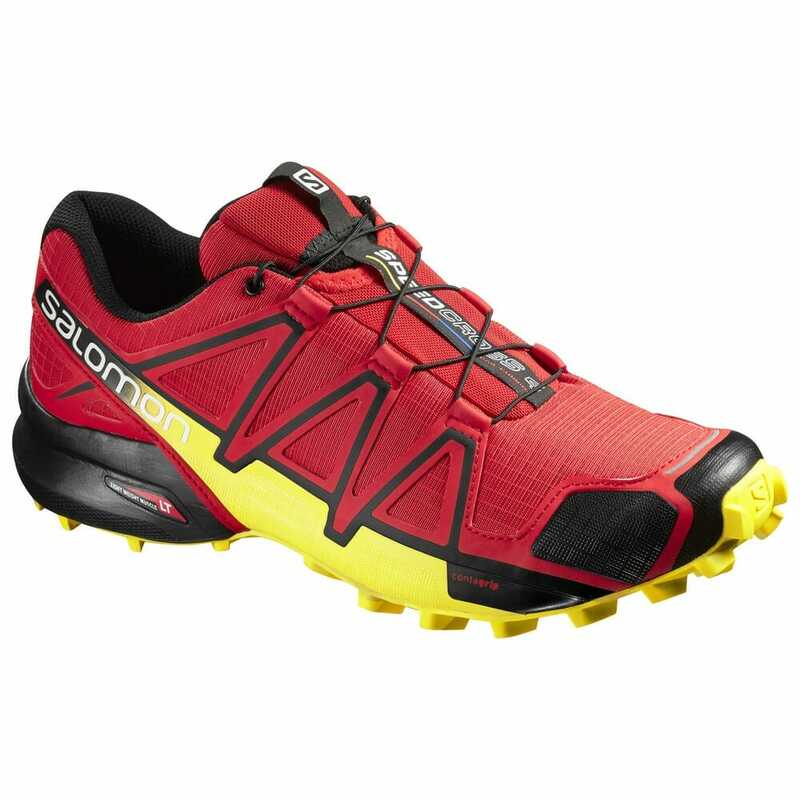 Salomon tweaked the traction pattern to deliver more ground contact at all times, especially at the edges of the shoe, and used a new “wet traction” rubber compound for the outsole that really does grip better on slick surfaces. Salomon’s trail running staple is finally updated, if only with tweaks. The drop goes from 11 to 10mm, the underfoot package is more sculpted in the midfoot, and the chevrons around the outside of the shoe are now complete rather than “cutoff,” adding 22% more surface area. With its deep lugs and protective upper, the Salomon Speedcross 4 is an aggressive trail runner best suited for soft ground, muddy trails, and rocks. The new version receives only minor updates to last year’s Speedcross 3, including a slight change to the toebox, tongue, and tread. 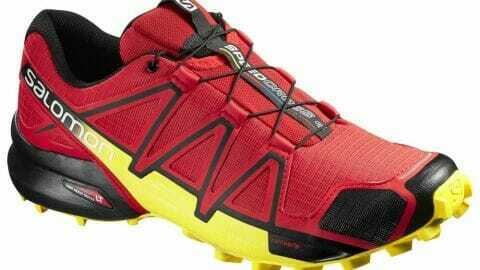 For sloppy conditions and rocky terrain, nothing beats the Salomon Speedcross 4.